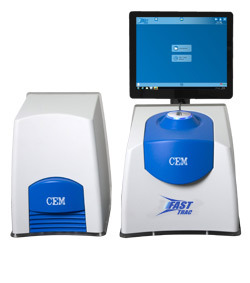 Accurate determination of fat and moisture in low-moisture samples can be challenging, but CEM’s newFAST Trac Analyzer gives you speed and accuracy in an easy-to-use, cost-effective system specifically designed for low-moisture samples. 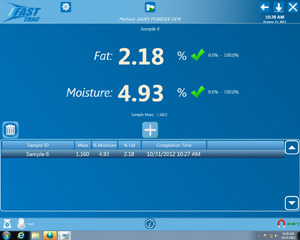 We have been using the FAST Trac for over a year now and we find it to be very accurate for our powdered milk products. The short analysis time is particularly important as it allows us to change production settings within two minutes of taking a sample. This saves us a lot of money as we have less out of specification powder due to inaccurate fat results.